Get a Notification Whenever an App Starts using your Webcam in Windows that will help you to have your privacy by getting alerted and disabling the camera access whenever needed by following the below guide. The computer nowadays comes with the inbuilt webcams which could not be removed anyhow and this makes up the sense too because it makes it smoother for the users to use up the webcam services on their computer anytime. This thing could also prove to be malicious because any of the user apps could start using up the webcam service at any time and hence you could not even unplug the webcam but you would likely have to close up that app. 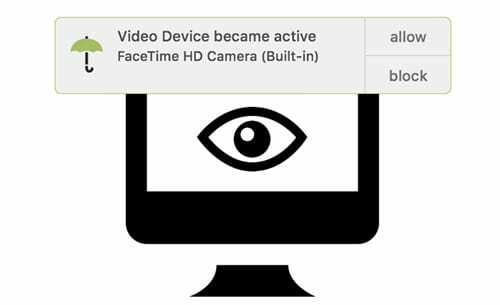 This is possible because of any notifications from the apps, alerts set for the app which triggers the use of a webcam. Now for making up the limitations, you could probably do many things but still if you have left behind with some gap and any of your app uses up the webcam at any time you would like to be informed about that. To help you with that there is some method through which you could actually set your computer for getting up the notified at the time any app uses up the Webcam.Here in this article, we have written about the method with which you could get up the notifications whenever any of your Windows Apps starts to utilize up the webcam facility. To know about the method just head on to the main part of the article which is given below, read about it after that! Below is the complete step by step guide that will help you to easily Get a Notification Whenever an App Starts using your Webcam in Windows. So follow the below steps to proceed. 1. First of all, let you know that we would be required to download up to the third party app for the purpose of tracing the webcam usage for all your apps on the Windows. The app which we have used and written about is “Oversight“. 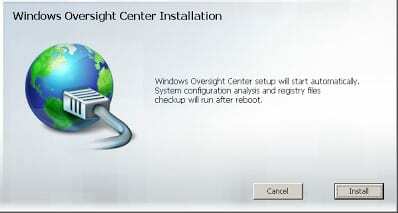 To download and install it on your computer just head on to the Oversight’s website and then follow up the further steps. 2. Once you have reached up to the website properly on your computer and then type in your Password when prompted. After all that you could install it up by clicking on the “Install” option from there. Your piece of the app would be installed as soon and then it would be opened up on the screen. 3. Oversight runs not directly on the screen all time but it runs with the simple umbrella icon placed on the menu bar. Click on it to check out the status of your Webcam and also the Microphone. Apart from that all there could be some settings also which you could set up for the app. 4. The app is actively running on your device in the background to check up all the apps utilizing the Webcam and the Microphone. Try to test up to the app by running any random app that accesses the Webcam service and if there comes up some kind of notification from the Umbrella icon then it means that the app is working perfectly. This notification would be about the new app starting to use up the Webcam service and the Microphone service. 5. Now you could easily check up for the programs using up the Webcam service through the status from the umbrella icon and hence any junk app or unknown app using up the service could be blocked for the access of Webcam! Like the Webcam tracking, this app also tracks the Microphone of your device too in the same way out. Take up the whole advantage of this app to remain updated about the usage of the Microphone as well as Webcam from now onwards. And this was the method through which you could get up the notification for any of your app on windows that start to use up the Webcam for any purpose. As from the article, you have got up that the method isn’t too difficult or complex but any moderate user could apply it without any issues. It’s now your time to apply this method and hence remain notified about the apps using up your webcam. Hope you would like up the method, don’t forget to share your views!